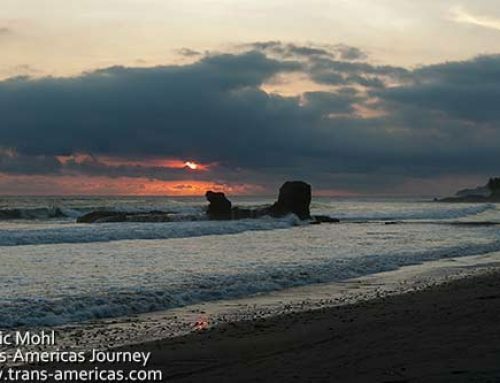 Our guidebook warned that “this isn’t an area you want to wander around past dark” and “the overall atmosphere is that of a grimy port town.” That all may have been true in the recent past, but we found a revitalized seaside promenade, great cheap eats, and even a new surfer-chic hotel in La Libertad, El Salvador. 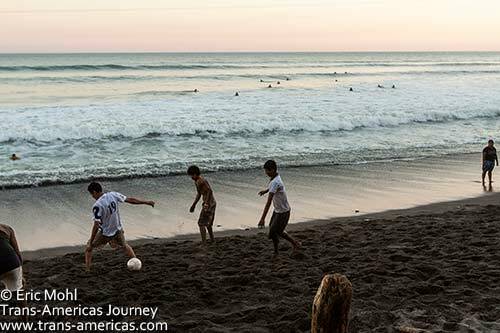 Evening beach soccer on the beach and surfers in the water in La Libertad, El Salvador. 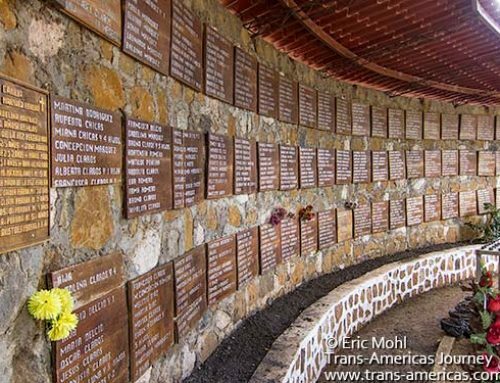 We almost didn’t stop in La Libertad at all when we traveled from San Salvador to El Tunco. But an ISA World Masters Surf Championship had just been held there and we were curious to see what all the hang-ten hoopla was about. In their almost maniacal search for the perfect wave surfers often pioneer awesome beach destinations. 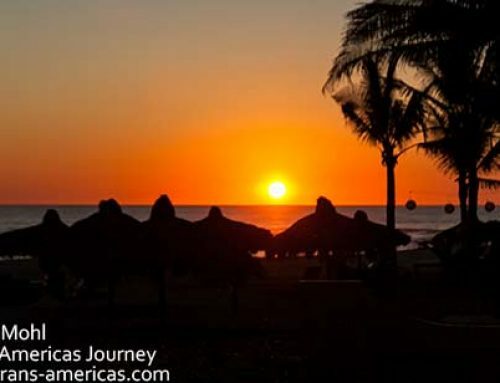 Surfers from all over the world have been coming to La Libertad since the 1970s to surf the famous right break at Punta Roca (Rock Point) at the far western end of Playa La Paz. 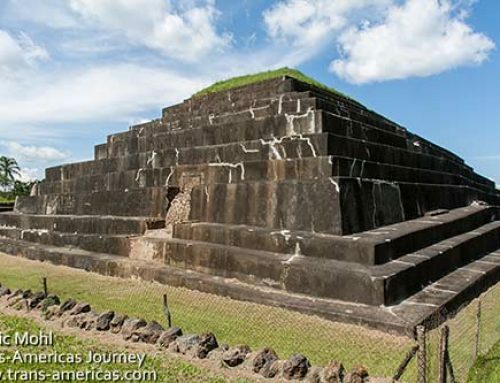 We don’t surf but we take it on good authority that La Punta (as surfers call it) is one of the best right breaks in all of Central America. 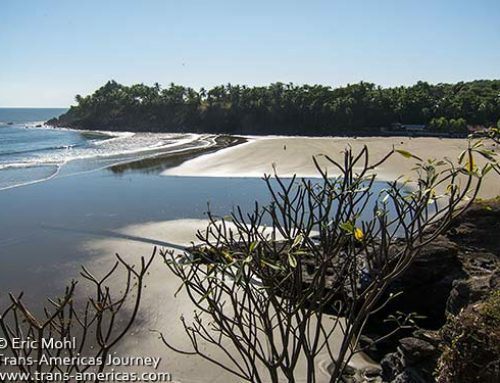 La Libertad is still on surfer’s bucket lists. 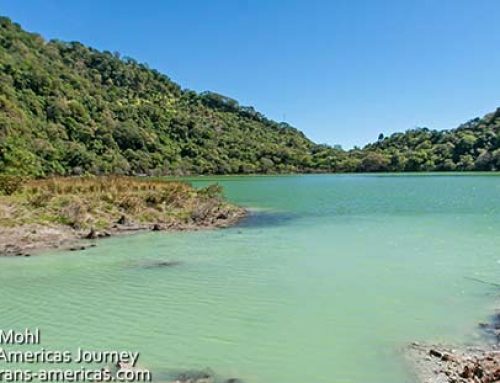 Like many beaches that have great breaks, the beach near Punta Roca is not great for sunning or swimming. The sand is mostly strewn with melon-sized rocks and while surfers appreciate the powerful waves they’re too much for enjoyable (or safe) swimming. 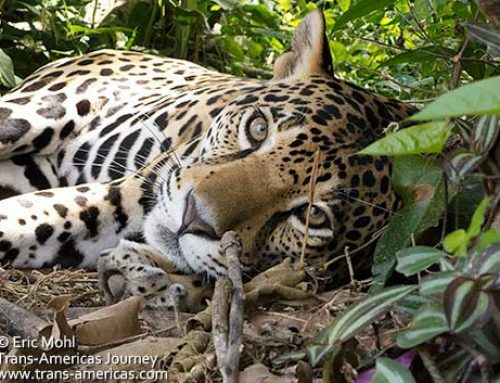 But the new La Libertad offers something beyond the beach and beyond the break. 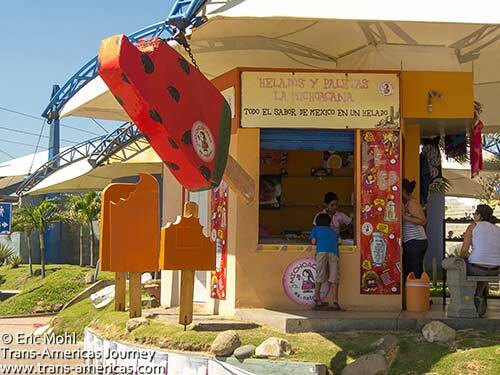 Sweet refreshment on the revitalized seafront park in La Libertad, El Salvador. 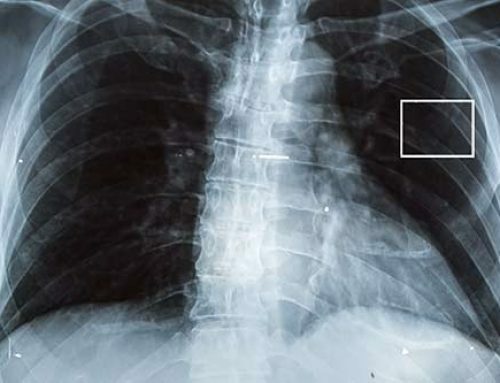 If you’ve got 15 seconds and an internet connection you can find legit travelers’ horror stories about robbery and even assault in La Libertad, mostly fueled by a local drug problem that’s still being battled. But in recent years the government has invested a lot to revitalize the city’s infrastructure, bring back business and take back the streets, waterfront and beaches. 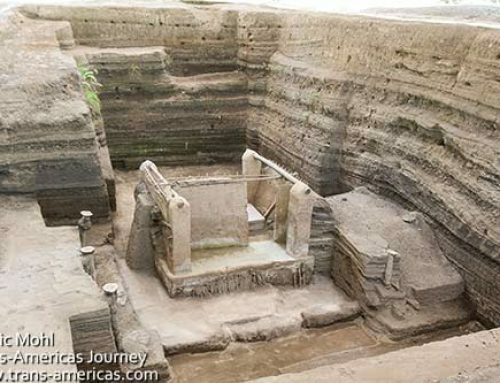 A main focus of these efforts is the malecon seafront park stretching right to Playa La Paz from the enormous pier. This area is now a paved, painted, and pleasant place to stroll and relax. 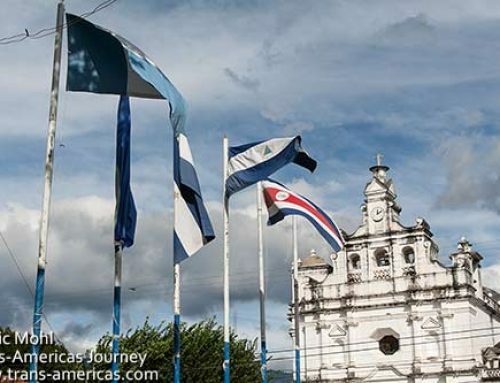 There are benches and vistas and landscaping and open-air restaurants and ice cream shops and families and couples from San Salvador (just 30 minutes away) taking full advantage of it all. 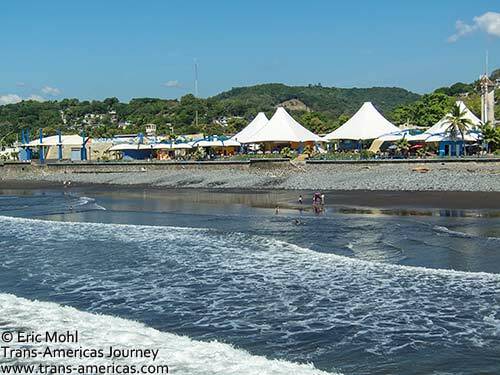 Looking back at the shops, restaurants and bars on the seafront park in El Salvador from the town’s lively pier. 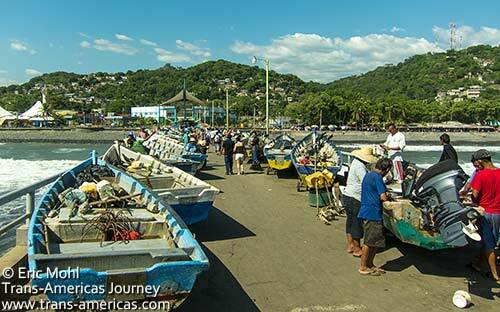 The long, partly enclosed pier in La Libertad is a massive fish market with vendors packed in shoulder to shoulder selling fresh and dried fruits of the sea, all of which are unloaded and cleaned on the far end of the pier every morning. At the very end of the pier are two massive cranes which transport the long, wooden fishing boats from the pier into the water and vice versa because the surf is too rough for the boast to enter and exit the water from the beach. 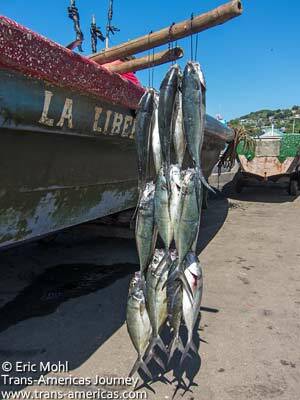 Fresh offerings on the pier in La Libertad, El Salvador which doubles as a sea food market. 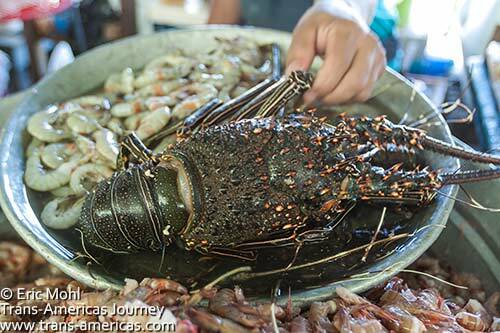 Fresh lobster for sale on the pier in La Libertad, El Salvador which doubles as a bustling seafood market. 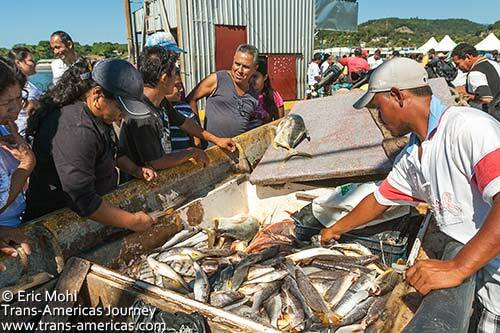 Returning boats register their catch with a local cooperative, then go about cleaning and selling it. We saw all kinds of fish large and small being prepped for market. 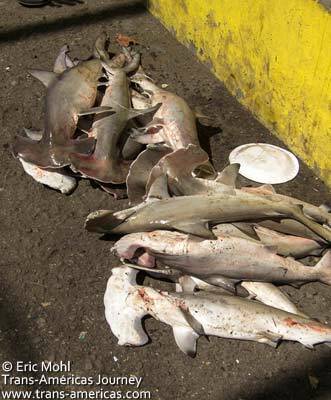 Sadly, we also saw one fisherman with a haul of more than 10 baby hammerhead sharks. 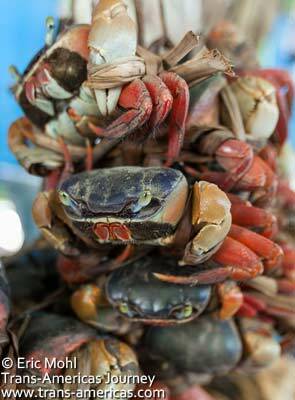 Crabs for sale on the pier in La Libertad. That’s one huge lobster for sale on the pier in La Libertad. 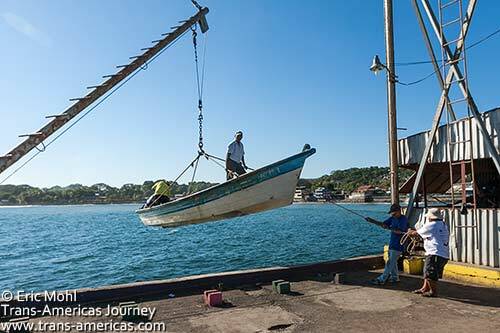 We spent hours each morning photographing the action and trying to stay out of the way as hauls were unloaded, boats were lifted up and down and fish were gutted and sold all around us. 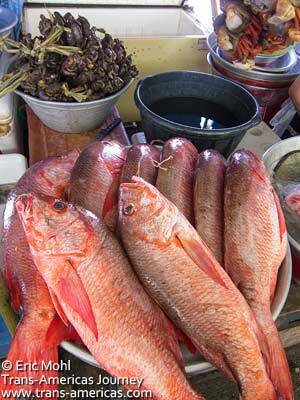 It was truly one of the most active, pleasant and photogenic fish markets we’ve visited. We’re pretty sure it should be illegal to bring in these baby hammerhead sharks. A boat being winched back onto the pier in La Liberad after a day of fishing. 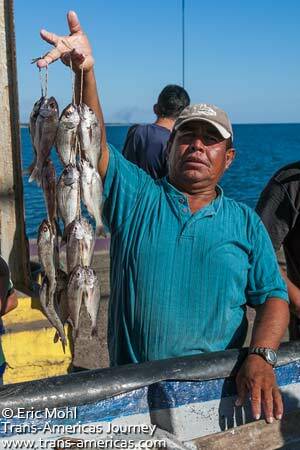 He just caught ’em and now he’s selling ’em on the pier in La Libertad. Haggling over the price of fish.. This guy made cleaning a fresh catch look easy. Fishing boats on the pier in La Libertad. 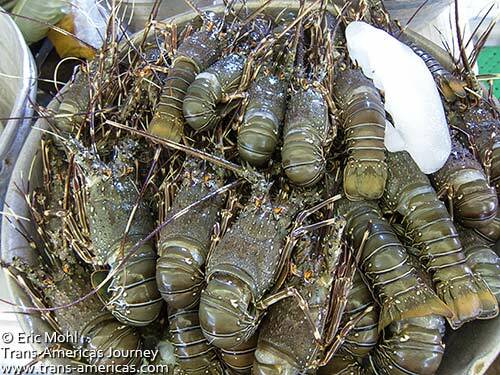 It doesn’t get much fresher than this. 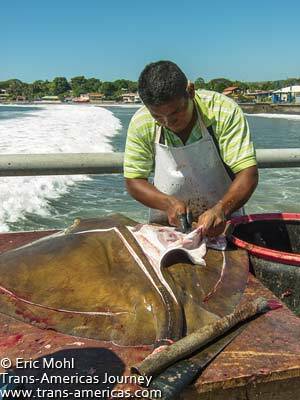 Cleaning a ray on the pier in La Libertad. 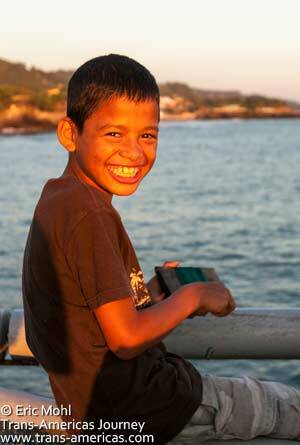 A smile at sunset in La Libertad. 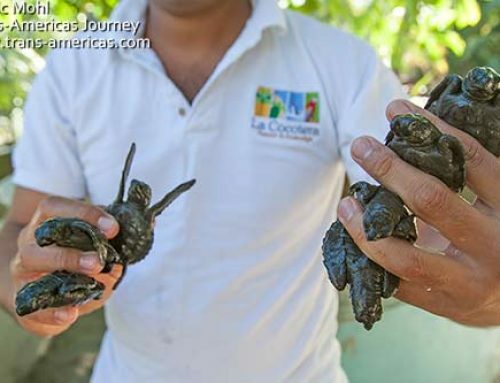 Some of the day’s catch ends up in the hands of La Libertad’s talented ceviche makers. For US$3 we got about a pound (half kilo) of absolutely fresh, sweet, and delicious ceviche which we scarfed down on a bench on the seafront. 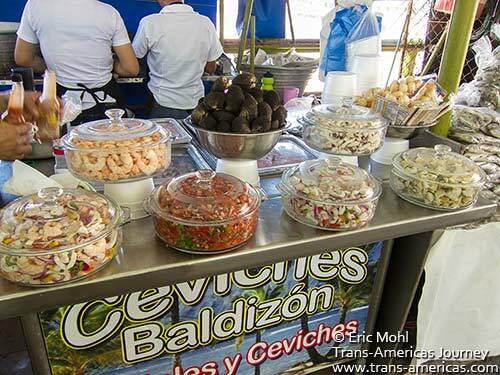 All the fresh fixin’s for great ceviche on the pier in La Libertad, El Salvador. If you want an actual restaurant, there are those too. Large, basic comedors with plastic chairs and blaring televisions are located to the left of the pier (away from Punta Roca). They’re nothing fancy but the fish is fresh (and displayed out front for your approval) and prices are low. 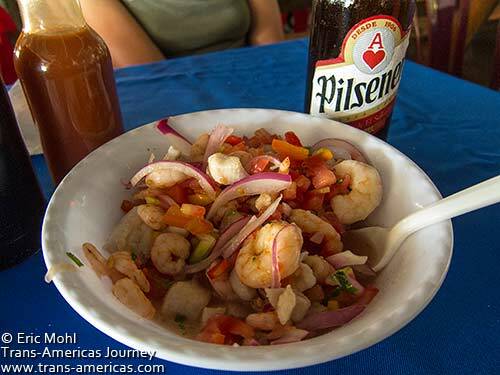 Pick your place and enjoy ceviche or cooked dishes and ice-cold beer with the locals. 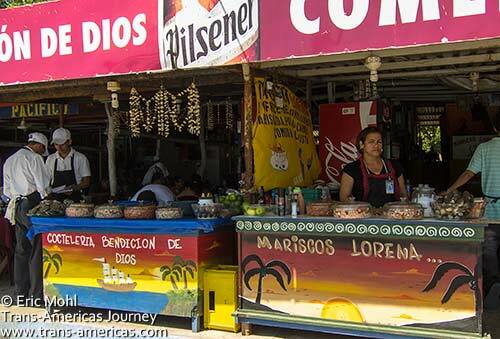 Seafood restaurants rub shoulders in La Libertad. Open-air restaurants with style, skilled waiters and higher prices are strung out to the right of the pier. This is where we found Danilo’s Bar and Restaurant. Owned by chef Danilo Ortega, the place is tiny and bright with eager staff and great smells coming out of a kitchen which is the size of a closet. 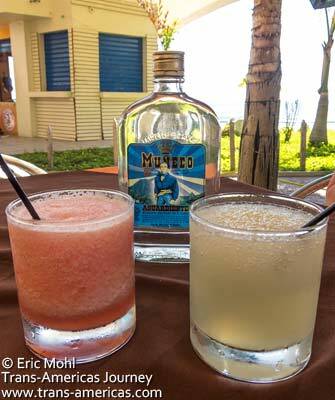 Danilo’s is famous for his powerful but refreshing Muñeco Sour (US$3), a twist on the Pisco Sour made with local Muñeco liquor (think of it as Salvadoran white lightning). The signature cocktail at Danilo’s Bar and Restaurant on the oceanfront boardwalk in La Libertad. 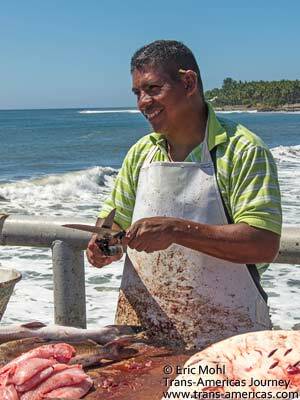 Chef Ortega, who ran a successful bar in San Salvador for years, operates his beach eatery like a city joint, offering things his city clientele look for like hard to find Bucanero Cuban beer, fresh sashimi (US$6), classically prepared fish, and signature dishes like shrimp in bacon with bbq sauce and baby back ribs (US$16 for 1.5 pounds). 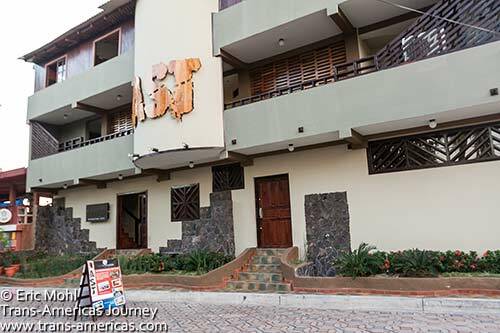 It’s true that most of the accommodations in La Libertad are still geared toward surfers, ie, they’re cheap above all else. However, a company called Adventure Sports Tours (AST) had opened a surprisingly stylish new option right on the seafront. La Terraza AST Surf Hotel was designed, rather than slapped together, which you can see before you even walk through the door thanks to landscaping and a waterfall wall at the entrance. 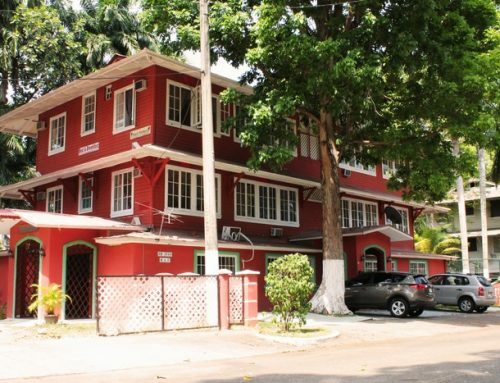 Inside, La Terraza features chic earth tones, big bathrooms, A/C, an open-air rooftop restaurant and bar (with surprisingly good food), hammocks and, of course, plenty of room to store your board. The surprisingly stylish La Terraza AST Surf Hotel in La Libertad, El Salvador. Opened in 2011, La Terraza is clearly meant for surfers willing to spend a bit more for substantially more comfort and style and for non-surfers who appreciate the hotel’s million dollar view of Punta Roca. The hotel is built so close to the beach that the crashing waves literally reverberate through the building. 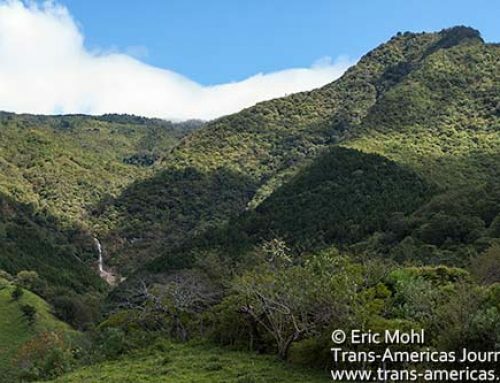 And since La Libertad has also invested in enormous, powerful flood lights which illuminate Punta Roca at night the break is dramatically visible 24 hours a day. 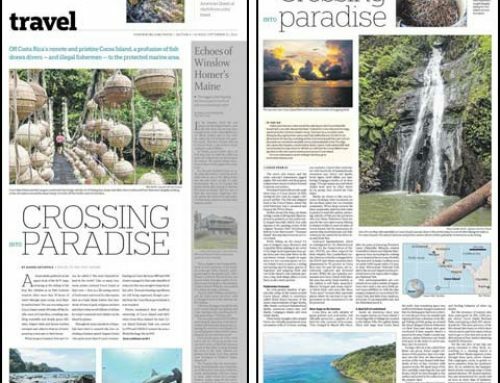 Local tourism authorities told us the city has plans to add lifeguards, night surfing, extend the seafront park even further, renovate and upgrade the restaurants, and attract more cultural events to their small amphitheater.